Petrol station franchises in the UK aren't that commonplace. 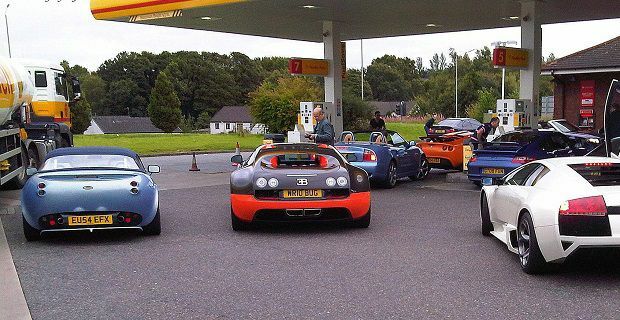 Most UK petrol stations are owned by one of the major oil companies. In fact, the industry doesn’t really get involved with franchising but you could buy your own petrol station, work as a contracts manager for BP or take on a retail business opportunity with Shell. These guys are the exception rather than the rule because they do offer franchises that complement their existing network. Becoming a Shell Dealer gives you a unique location and access to the firm’s wide range of products including their quality fuels and lubricants. The company’s loyalty card – the Shell Drivers Club – also helps attract trade. A local account manager will be assigned to you who will help nurture your retail skills and guide you through the process. Head to shell.co.uk for more info. This isn’t a franchise role but it’s the next best thing because your efforts will ultimately lead you to earning more money. All contracts managers are self-employed as they get their income from commission payments on the sale of fuel and from the other businesses run at the service station including the shop and the car wash. These commission payments are made on a daily basis. If this sounds like the sort of opportunity you’re looking for, you’ll find out more at motorfuelgroup.com. Esso have 1,100 sites across the UK. Only half of these are owned and operated by the firm. The rest are run by independent firms. You won’t find much information from Esso on franchise opportunities but check out exxonmobil.co.uk and use the contacts page to ask these guys about opportunities if you’d like to join their ranks.